Welcome aboard to the world of Nautical Life. Come and enjoy a unique experience of a Tycoon with RPG! 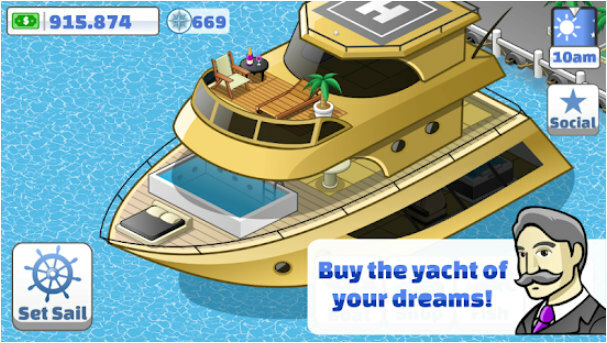 Here you can buy your dream yacht and customize the yacht interior for all tastes furniture. Watch the cycle of the day and the night affecting the landscape and the fishing. Sail around the world to fish all the variables fishes and get rich! – There are 13 yachts completely unique. – More than 100 furniture to customize your yacht. – 50 different species of fishes to get. – Day and night cycle. – Countless missions around the world. – Show your friends how your yacht looks like. 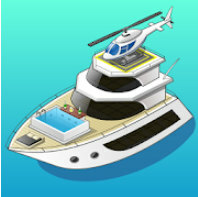 – Manage fishing boats to raise your wealth. – 9 fishing rods with different attributes. – Have fun betting on South Shore Casino!